An online organic marketplace promoting niche businesses that sell 100% natural skincare, 100% natural haircare and bespoke handmade fashion accessories. Also home to FEIJOA, the natural, environmentally-friendly and cruelty-free skincare brand. 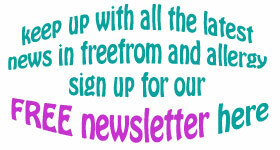 GoodnessDirect offer 'free-from' shopping for every kind of food, and all diets. You can choose from 1000's of special diet foods plus allergenic or natural toiletries, gentle natural feminine hygiene and free from food supplements. Special Diet hampers and gift service all year round. Offering a wealth of information on eczema and related skin conditions and a wide range of effective products, including gentle skincare and laundry solutions, therapeutic clothing and shower filters. Shop or order a catalogue online. Online store offering advice and solutions to help with allergies to dust mites, pollen and pets, and conditions such as asthma, eczema and psoriasis. Products include skincare, and an anti-allergy bedding range which comes with Allergy UK’s Seal of Approval. An online natural and organic beauty store with a personal touch, offering free hand delivery in London W1, and national delivery. Stocks niche beauty brands including CÎME Skincare, Tabitha James Kraan, Vedani Botanicals, Carishea, Ermana Natural Skincare and more. Inspired by their grandmother Martha Hill, the Beauty Naturals family business includes a comprehensive and affordable collection of high quality, cruelty free, natural health and beauty products. 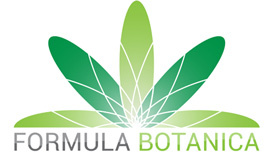 The range is diverse and incorporates traditional formulations along with organic, natural alternatives. Online store stocking widest range of natural beauty, household cleaning and babycare products in the UK. With brands such as Green People, Antiopodes and JASON, they sell things that will hopefully put a smile on your face. An online destination for natural and organic beauty treats at competitive prices, offering a wide selection of skin and hair care products to address most beauty concerns. Non-animal tested, cruelty free, and some products are certified vegan and/or gluten-free. Natural and organic skin care (Le Petit Olivier argan oil range, Funny Bee Paris, and many more with shea butter or olive oil), hair care (Gielly Green), toiletries and vegetable wax scented candles. Ideal to indulge yourself or as a gift. Stocking the finest natural and organic skincare brands, including Blend Collective, Pulpe de Vie and Ora Naturals, which contain ingredients such as argan, manuka and marula, all known for their moisturising properties. All products are free from SLS and parabens. A wide selection of natural and organic beauty products, stocking Dr. Hauschka, Ren, Neal’s Yard Remedies and around 200 other international brands. All products stocked are free from SLS, SLES and parabens. A sophisticated on-line natural beauty boutique which offers a desirable selection of the best organic skincare and natural cosmetic products. Postage and packing is free on all UK orders received, regardless of the size. 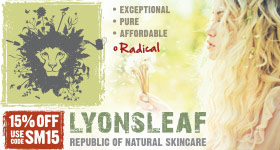 Online store offering a wide selection of natural skincare products, free from undesirable chemicals. The range includes brands such as Hopes Relief and Organic Natralox which combine potent natural ingredients with modern science to provide effective skincare solutions. An online destination with the finest natural, organic and paraben free skincare products for the whole family. From everyday items to luxurious products, our brand selection includes many award winning products. All free from parabens, SLS, phthalates and artificial fragrance. Established in 2004, mypure is Britain's most positively reviewed organic skincare store, providing handpicked purely natural and organic products, cruelty-free cult buys and everyday essentials. With free UK economy delivery (plus international options) from a carbon neutral website. Specialists in making naturally effective and tailored skin care solutions for skin conditions including eczema, psoriasis and rosacea. All Skin Shop products are rigorously tested and the researched ingredients are chosen on a scientific rather than a cosmetic basis. A one-stop online shop for an organic lifestyle, with a range of over 2,500 products from leading organic and natural brands offering friendly, impartial advice on finding the right ones for your skin type. Online boutique offering a wide range of products for the whole family which are natural, organic and nourishing. The ever growing range of skin and bodycare includes artisan brands such as Bathing Beauty, Bloom Remedies and Mary Elizabeth. A one stop web-shop for all your organic and natural cosmetics, skin care, makeup, hair care, hair dyes and body care. Includes our own brand handmade skincare and excellent brands such as Logona, Sante, Aubrey and Lavera.